The expression “everything old is new again” certainly rings true when it comes to grains, with a growing number of people pushing their grocery carts past modern wheat breads, cereals and crackers and loading up on products made with ancient grains. Often also referred to as “heirloom” grains, the term “ancient,” generally refers to grains that have remain unchanged from their original form from centuries ago. In contrast, most of the wheat products on grocery shelves today are made with modern, or “dwarf” wheat, which is a hybrid of several different ancient wheat varieties. Ancient grains include the original strains of wheat: einkorn, spelt and emmer, plus non-gluten options like amaranth, teff and quinoa. Thought to originate in the Tigris-Euphrates region, einkorn is considered the oldest variety of wheat, first domesticated around 10,000 years ago. Einkorn only has two sets of chromosomes, while modern wheat has six sets, due to cross-breeding. 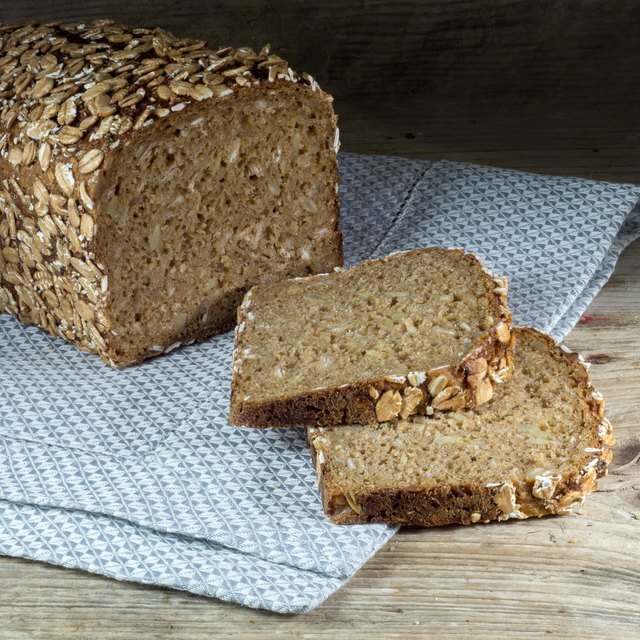 Of all the grains, einkorn has the highest amount of the antioxidant lutein — it also has more protein, potassium and vitamin E. Einkorn has less starch and absorbs liquid slower than wheat, so when making breads, einkorn may seem sticky at first and need a longer rise time. A staple in Italy, where it’s known as farro, emmer is a particularly hearty grain that has a high resistance to disease and can thrive in poor soil conditions. It’s also rich in fiber, protein, magnesium and B vitamins. Ancient Egyptians used emmer to make beer and bread. This grain has been around since approximately 5000 B.C. and is even referenced in the Old Testament. It originated in the Near East and later spread to Europe. Spelt was introduced to the United States around 1900, but it was replaced with modern wheat in the 20th century. It has a tougher husk than modern wheat, which helps it to retain more nutrients. Spelt contains gluten, but lower amounts than modern wheat, with a delicately sweet and nutty taste. This is not a “true” cereal grain, but rather a pseudo-cereal. A native crop to Peru, amaranth was domesticated about 8,000 years ago. The ancient Aztecs relied on it as a major food group, and it also played a part in religious ceremonies. The meaning of the word amaranth in Greek is “one that does not wither,” because amaranth is a tall, hearty plant with brightly colored flowers or deeply colored leaves that retain their beauty even after harvesting. Naturally gluten-free, amaranth is a good source of calcium, iron, magnesium and potassium and is remarkably high in protein. Studies have also found that the phytosterols in amaranth have cholesterol-lowering properties. Amaranth is very hydrophilic — meaning it absorbs a lot of water — so it requires a much more water than other grains when cooking. A staple of Ethiopian culture for centuries, teff is rather new to the U.S. But because it’s naturally gluten-free and highly nutritious, it’s quickly growing in popularity. The word teff means “lost,” because it is so small that if you dropped a grain it would likely be lost. A very nutritious grain, teff is an excellent source of iron, magnesium, protein, calcium, vitamin B6 and zinc. It has a slightly sweet, mildly nutty flavor and makes a delicious porridge or a traditional Ethiopian bread called injera, which is a fermented flatbread. Not technically a grain, quinoa is a pseudo-cereal that is a relative of Swiss chard. Naturally gluten-free, quinoa is high in fiber and minerals and is a complete protein source. Its origins are in mountainous Andean regions of Peru and Bolivia, and it’s believed to have been domesticated between 3,000 and 5,000 years ago. Quinoa is grown at high altitudes and ranges in color from light brown to red and black. The grains are covered with a bitter coating called a saponin, which protects it from birds and the sun. The saponin is removed during processing, but to achieve the best-tasting quinoa, give it a good rinse before cooking. Quinoa is a versatile grain: It can be tossed into salads, served as a side dish and ground and used as flour or made into porridge. 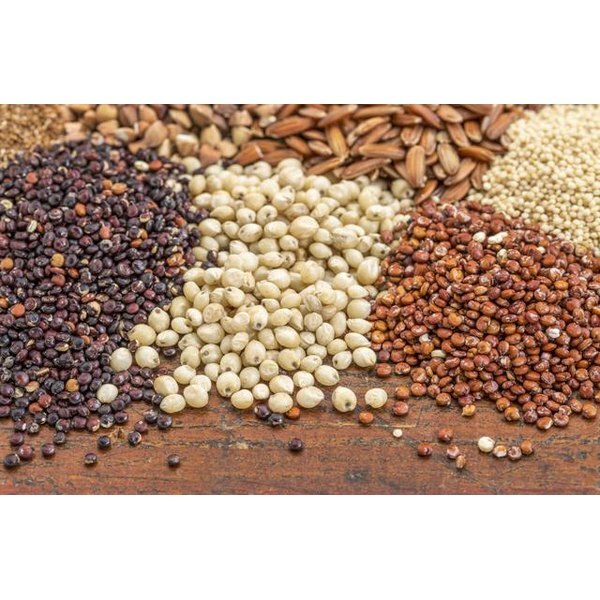 Some other grains considered ancient include: kamut, triticale, sorghum, millet, buckwheat, blue corn and black barley. Modern, or dwarf, wheat has been bred to withstand pesticides, and it also contains higher amounts of gluten and starches than its predecessors. Because it contains more starch, modern grains will be higher glycemic, which means they spike the blood sugar more than some of the ancient grains. Meanwhile, ancient wheat grains have been found to have higher amounts of antioxidants, protein, vitamins and minerals and lower amounts of gluten. One way to make all grains more nutritious and digestible is to soak or sprout them prior to cooking with them. This reduces antinutrients like phytic acid in the grain, which interferes with the absorption of the mineral content. Another way to improve the nutritional content of grains is to ferment them, as with sourdough. Amaranth – May Grain of the Month. Modern Wheat -- Old Diet Staple Turned into a Modern Health Nightmare. Antioxidants High, in Emmer and Einkhorn. Journal of Agriculture and Food Chemistry, August 27, 2008. Sara Vance is a certified nutritionist, a Kids Yoga and ACE certified Group Fitness Instructor, and presents nutrition, health and fitness topics for TV, live audiences, and blogs. A presenter at the first TEDx Youth conference in San Diego, Vance is a regular on local TV stations. She has an extensive background in marketing, writing, speaking, and over 18 years in health and fitness. What Is Black Rice Good For?